The Monarch is probably one of the most widespread and recognized butterflies in North America. They migrate between Canada and Mexico. Interestingly this is the first one I have seen this year. They will appear regularly for awhile as they migrate through on their way south. 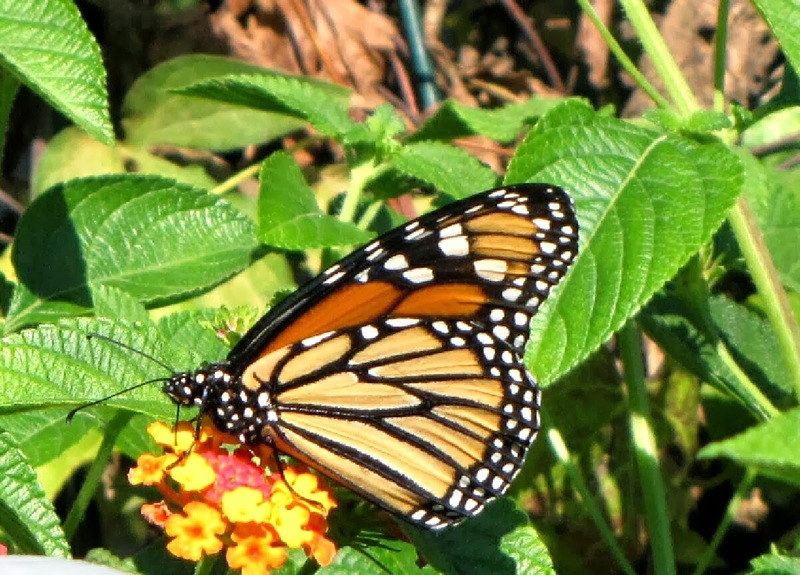 We have had Monarchs in years past, but I haven't seen any this year. What a beautiful shot. I have seen very few Monarchs this year. Great capture! We haven't had many this year with the drought conditions. Beautiful shot. I haven't seen any butterflies around here. I am sure they must be around or maybe they like the birds just enjoy hiding from me. You managed to get very close. Their bodies are incredibly beautiful with the black with white spots. I wish they ranged where I live. Thank you for your contribution to Macro Monday 2!